Hollywood Boulevard serves the same purpose for Disney's Hollywood Studios as Main Street, U.S.A. does for the Magic Kingdom. It introduces guests to the ideas of the park, that you're going to be immersed into the world of film, both film fiction as reality as well as the technical behind-the-scenes world of filmmaking. As such, the focus is not on attractions, which would just create bottlenecks at the front door, but rather on shopping, dining, and just generally setting the mood. The only attraction, The Great Movie Ride, is down at the opposite end of the street, in the position of Cinderella Castle. Location: The area immediately inside the park, down to The Great Movie Ride. Celebrity 5 & 10 Park logo merchandise. Crossroads of the World Small souvenirs and postcards, camera supplies, sundries. L.A. Prop Cinema Storage Disney clothing for children. Mickey's of Hollywood Toys, plush dolls, and character-themed clothing. Oscar's Classic Car Souvenirs Classic car memorabilia. Sid Cahuenga's One-of-a-Kind Classic movie collectibles, both Disney and MGM. Sorcerer Hat Shop Silly hats of all kinds. 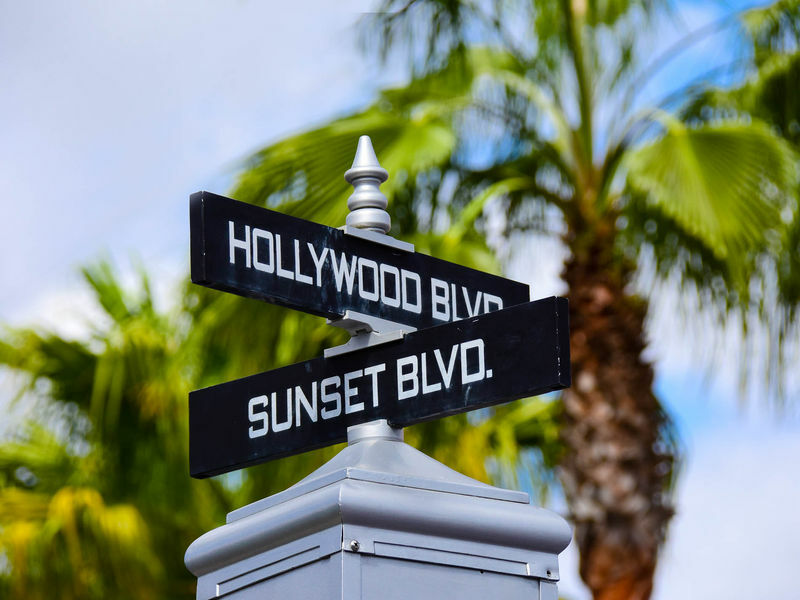 Here you will find a list of selected rides, shows, or restaurants that have been removed fromHollywood Boulevard, never to return. The American Idol Experience Here's your chance to show off your singing talents and possibly be that day's American Idol. Block Party Bash A high octane parade starring Pixar characters and plenty of acrobats. Disney Channel Rocks! Songs from various Disney Channel hits are performed live. Disney Stars and Motor Cars Parade More than 60 character parade in customized classic cars. Show opened October 1, 2001; closed March 9, 2008. Replaced by Block Party Bash. High School Musical: Right Here! Right Now! 14 performers do a set of songs from the latest HSM movie.